After showing all of you the beautiful Beauty and the Beast castle yesterday, today I will be showing you the rest of the photos from Magic Kingdom! We were celebrating a very special day that day: my parents 36th wedding anniversary!! 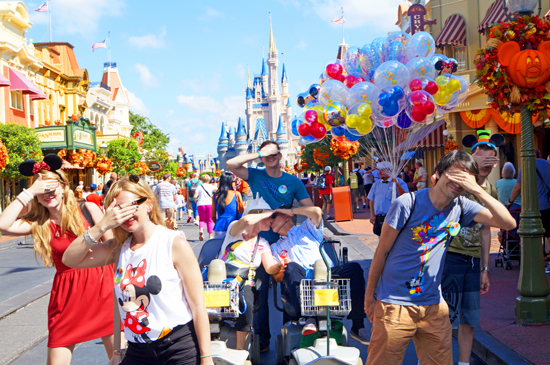 And what better place to celebrate than Magic Kingdom right? 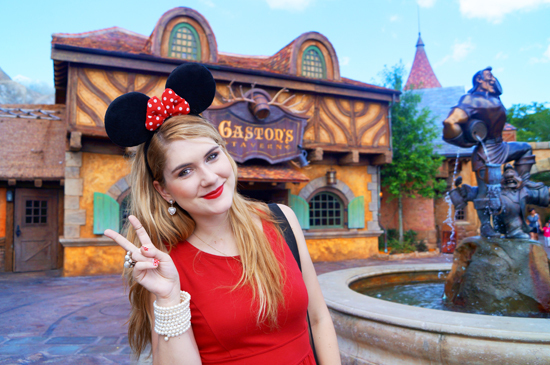 En Español - Después de mostrarles las fotos del hermoso castillo de Bella y la Bestia, hoy les mostraré las demás fotos de Magic Kingdom! Ese día estábamos celebrando un día muy especial: el aniversario de 36 años de casados de mis papás! 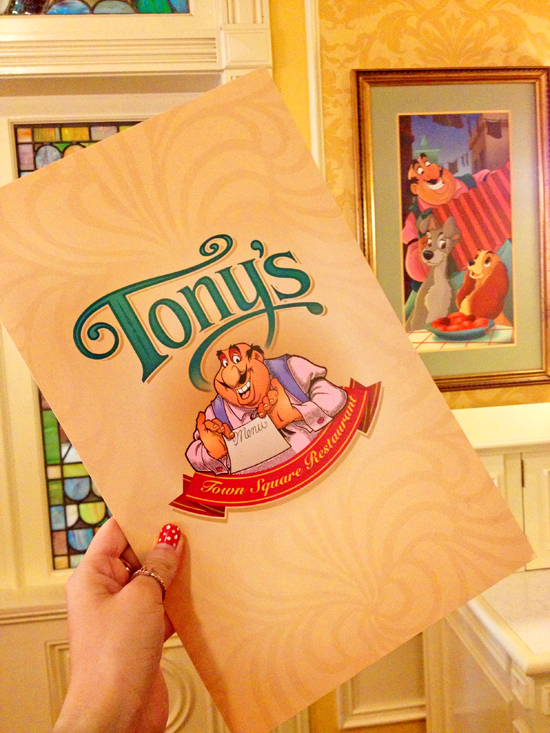 Y qué mejor lugar para celebrarlo que Magic Kingdom cierto? 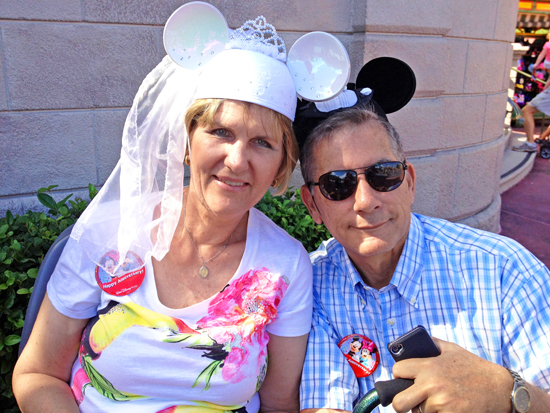 We decided to surprise my parents by getting them these cute bride and groom Mickey hats! 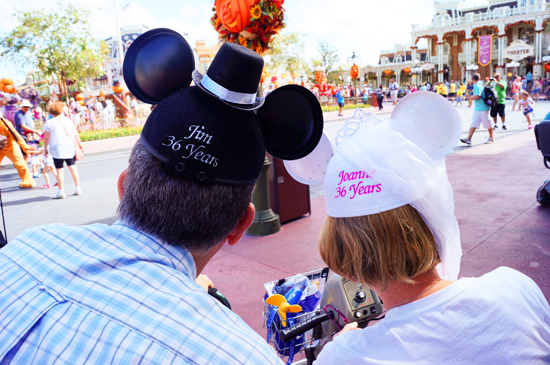 My parents looked SO adorable with their special Disney hats celebrating their anniversary. Decidimos sorprender a mis papás ese día regalándoles unos sombreros de Mickey Mouse! Mis padres se veían tan adorables con sus sombreros especiales de Disney celebrando su aniversario. 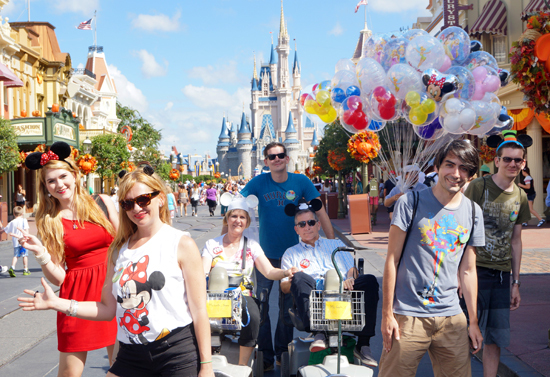 We all had such a blast at Magic Kingdom! There are so many fun rides to get on as well as pretty decorations to look at. 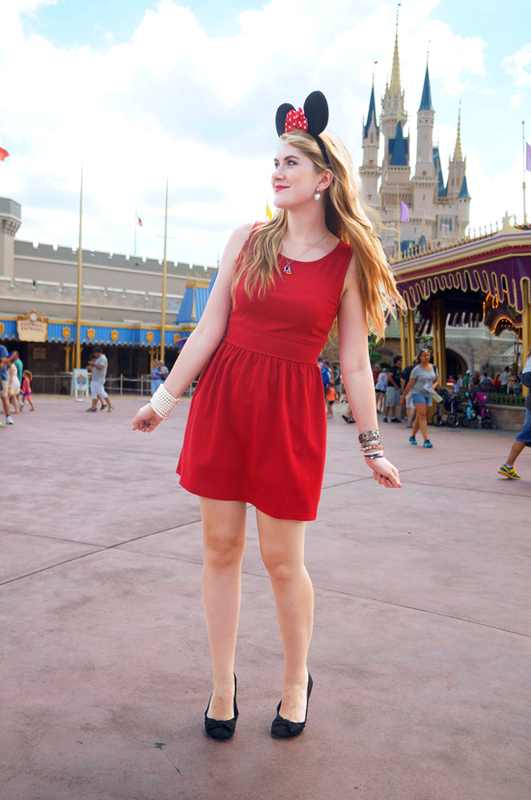 Walking around the park is like walking straight into a storybook, where fairytales and dreams all come to life. I absolutely love it there. Todos la pasamos de maravilla en Magic Kingdom! Habían varias atracciones divertidas y también muchas decoraciones lindas en el parque. Caminar por el parque se siente como caminar en un libro de cuentos de hada donde todos los sueños se hacen realidad. 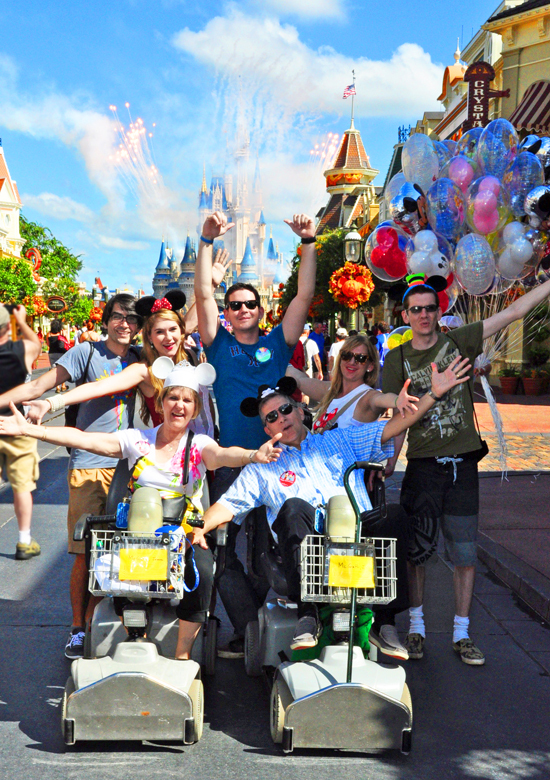 At night we all enjoyed watching the Disney parade as well as the amazing firework show. Being together with all of my family in a place as magical as this really felt like a dream come true. Por la noche, disfrutamos viendo el desfile de Disney, así como el espectáculo de fuegos artificiales increíbles. Estando reunida con toda mi familia en un lugar tan mágico fue todo un sueño hecho realidad. I absolutely loved all of these pictures! what a great way to celebrate an anniversary! aww I loved the main park. 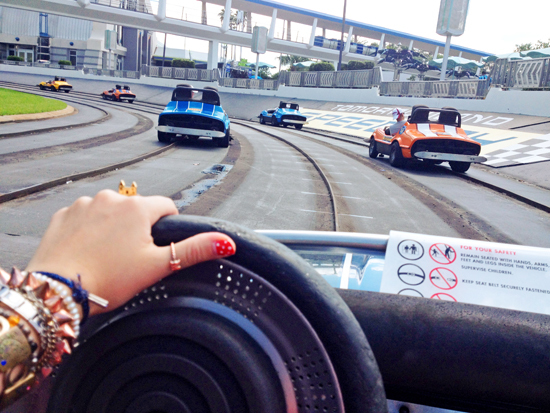 It's definitely the most fun and where your dreams come true. It's like your a kid again there. You all looked like you had so much fun! Congratulations to your parents! That is amazing that they have been together that long, not many children can say that today! AWww!! First of all, your parents are too adorable!! 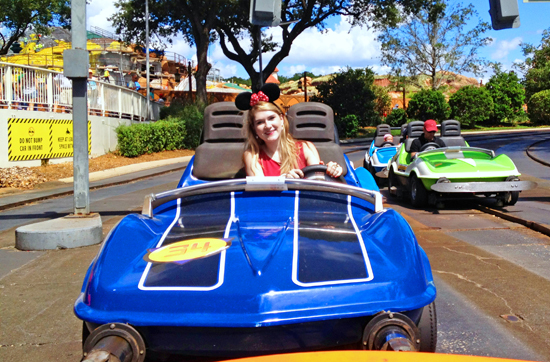 I love the pictures of them in their mickey mouse hats :) These pictures are so colorful and happy. I'm so glad you and your family had a great time!! Que te pase todo bien! aww this looks like such a fun day! Happy anniversary to your parents! 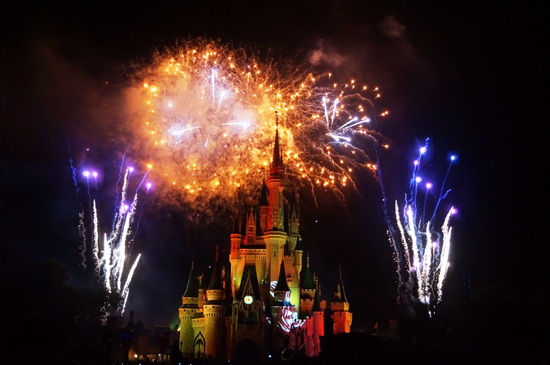 I've never been to Magic Kingdom, but it's definitely on my list. Thank you so much Melody!!! You should definitely go someday, I bet you would love it! Thank you so so much Sarah!!! It would be a pleasure to see you again, I hope our paths cross once again very soon!!! Hahaha gracias Tamara!! Espero que puedas ir algun dia! That's awesome Cecylia!!! 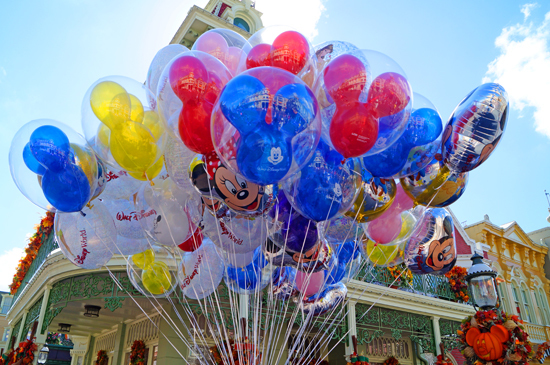 I've never had the chance to see the Disneyland park in LA, how was it?! Thank you Mica!! We indeed had such a blast, definitely a trip to remember! happy 36th anniversary for your parents. It seems like y'all had a blast! Now I can't wait to go back!